The Ceramics program offers students many exciting opportunities for creating artistic forms by hand building, wheel throwing, and mold making with clay. The forms created in the program will incorporate each student’s unique approach along with the inclusion of any contemporary and historical influences. Artworks student’s craft may be functional or nonfunctional in design, whichever is appropriate to the project. Craftsmanship, artistry, and conceptual themes are addressed regarding the construction and surface treatments of the artworks. Forms will go through a variety of processes allowing students, allowing students to learn clay and glaze formulation and preparation. 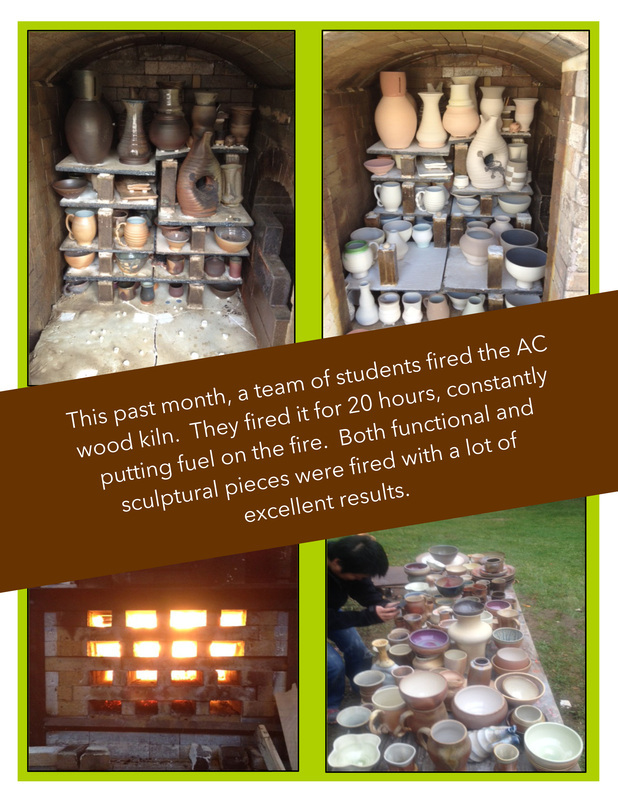 In the end, students will work with low-fire and high-fire techniques with a wide variety of kilns, comprised of 3 kiln areas that house raku, salt, soda, wood and two reduction kilns. In addition, there are six electric kilns inside a 2454 sq ft studio space. The Art Department is committed to offering a rich experience with historical and contemporary issues in ceramics. Many opportunities will also be offered to strengthen the technical skills needed to thrive and grow outside the program. 2014. Here (right) is a documentary example of one of the recent wood kiln firings.